Take a break from San Francisco with a short trip to Muir Woods National Monument in Mill Valley, about 46 minutes away. Dedicate the 6th (Sat) to wine at some of the top wineries in the area. The adventure continues: take in the views from Golden Gate Bridge, make a trip to Golden Gate Park, take in nature's colorful creations at Japanese Tea Garden, and have fun and explore at Exploratorium. 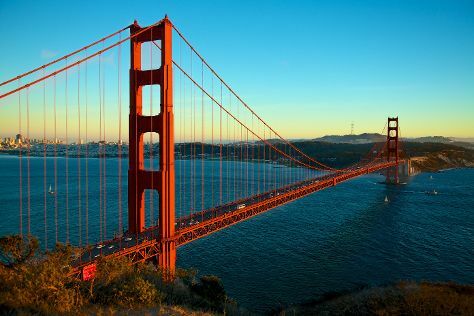 To see more things to do, reviews, other places to visit, and more tourist information, read San Francisco day trip planning tool . If you are flying in from United Kingdom, the closest major airports are San Francisco International Airport, Metropolitan Oakland International Airport and Norman Y. Mineta San Jose International Airport. July in San Francisco sees daily highs of 26°C and lows of 16°C at night. Wrap up your sightseeing on the 17th (Wed) to allow time to travel back home.